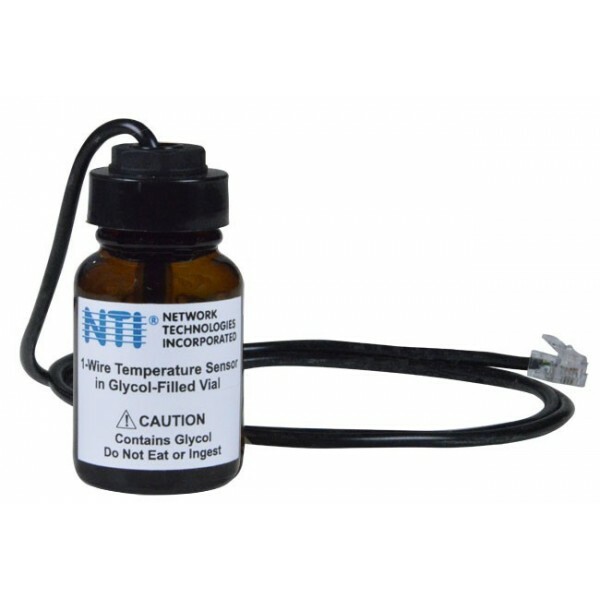 Aurora, OH: Network Technologies Inc (NTI) today announced the addition of the ENVIROMUX® 1-Wire Temperature Sensor in Glycol-Filled Vial to its popular line of Environment Monitoring Sensors. The sensor can be used to measure the temperature of objects in a refrigerator or freezer, and is compatible with the E-1W Low-Cost Environment Monitoring System. The sensor readings of the E-T1WGB-1M represent the actual temperature of contents within the refrigerator/freezer rather than the ambient air temperature within the appliance. The sensor buffers out any momentary fluctuations that may cause false alarms, such as doors opening, defrost cycles, and fans circulating air. The E-T1WGB-1M supports applications from -40 to 158°F (-40 to 70°C). It has a temperature accuracy of ±1.0°F (±0.5°C) for 14 to 158°F (-10 to 70°C) and ±3.6°F (±2°C) for -40 to 14°F (-40 to -10°C). The 1-Wire Temperature Sensor in Glycol-Filled Vial counts as a single reading sensor. Up to twenty-four temperature sensors can be attached to the E-1W. 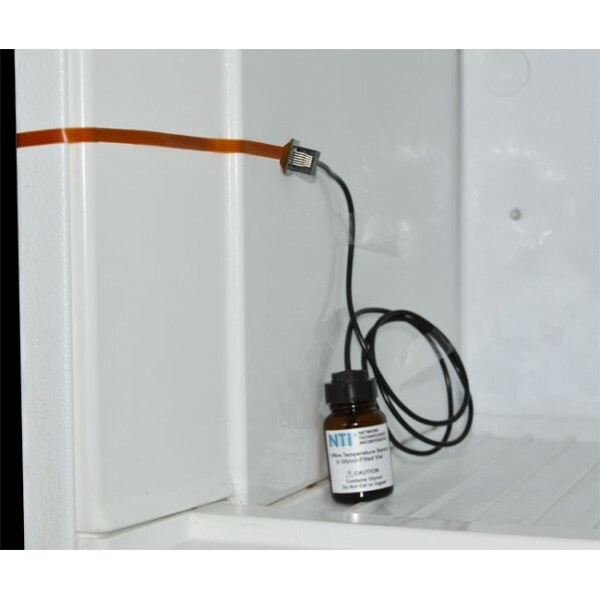 The E-FW-1 Flex Wire connects the E-T1WGB-1M glycol temperature sensor to the E-1W monitoring system without interfering with the refrigerator/freezer seal. The Flex Wire is 1 foot in length. The E-T1WGB-1M’s attached cable is 3.28 feet in length, with dimensions of 1.38x2.81in (35x71mm). The E-T1WGB-1M is ideal for use in a wide range of applications, including monitoring the temperature of biologics, drugs, and vaccines in pharmacies, medical offices, hospitals, and laboratories; and food temperature in cold storage. 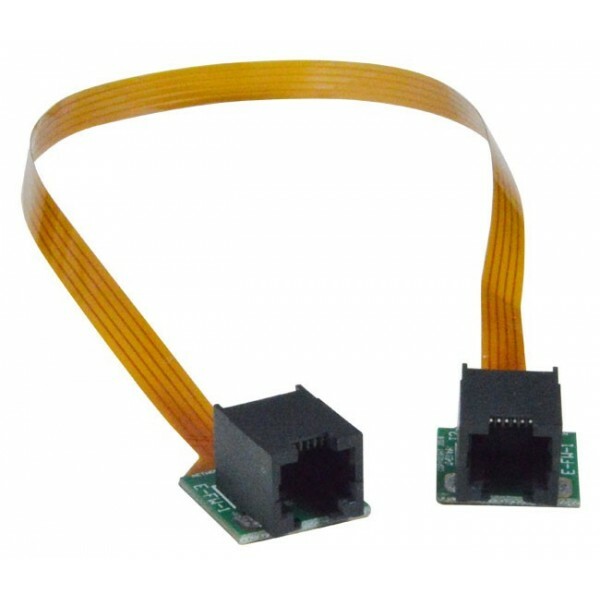 Available for immediate sale, the 1-Wire Temperature Sensor in Glycol-Filled Vial costs $45, and the Flex Wire for Connecting the E-T1WGB-1M to E-1W costs $45.